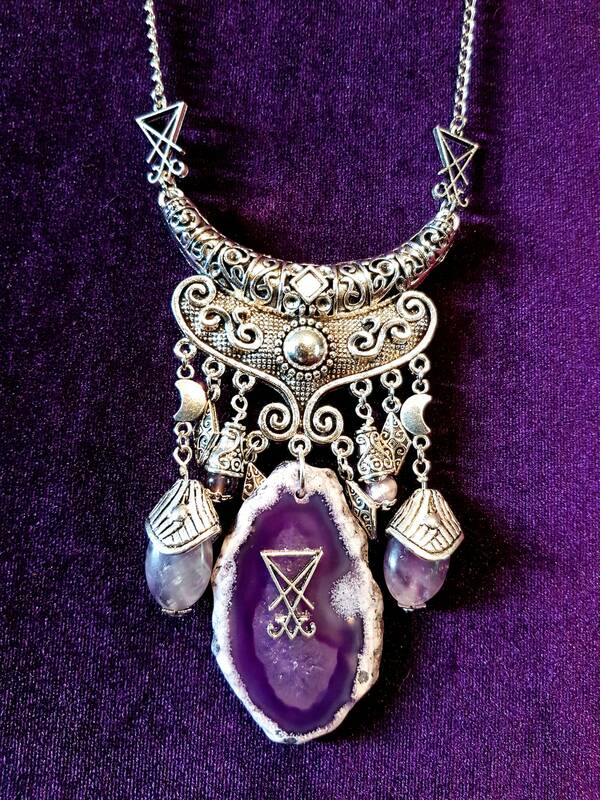 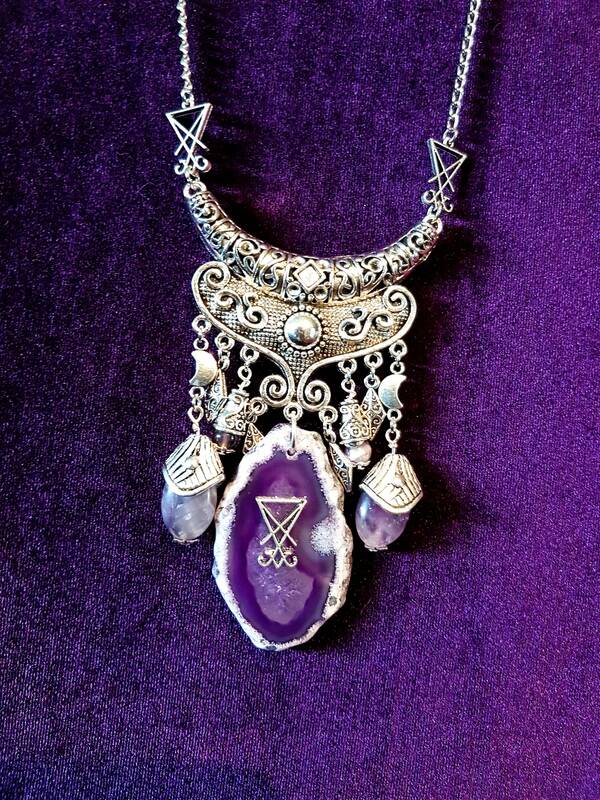 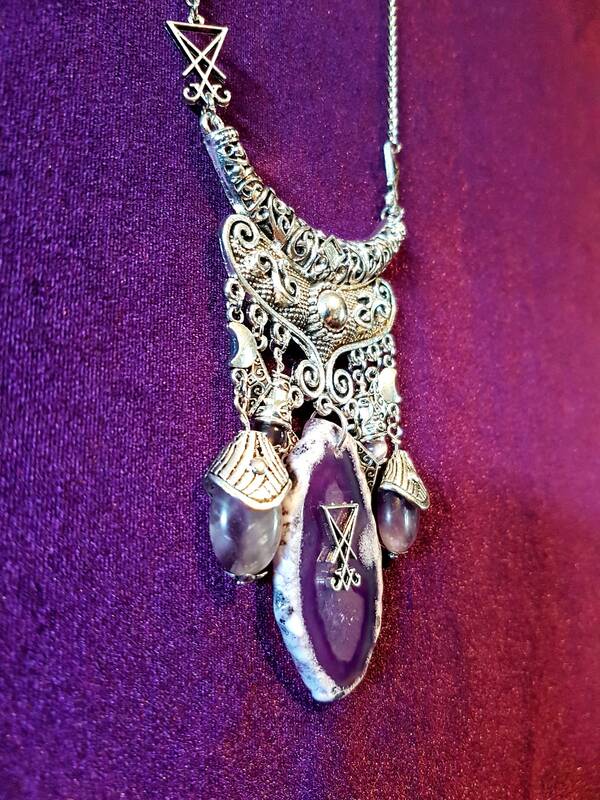 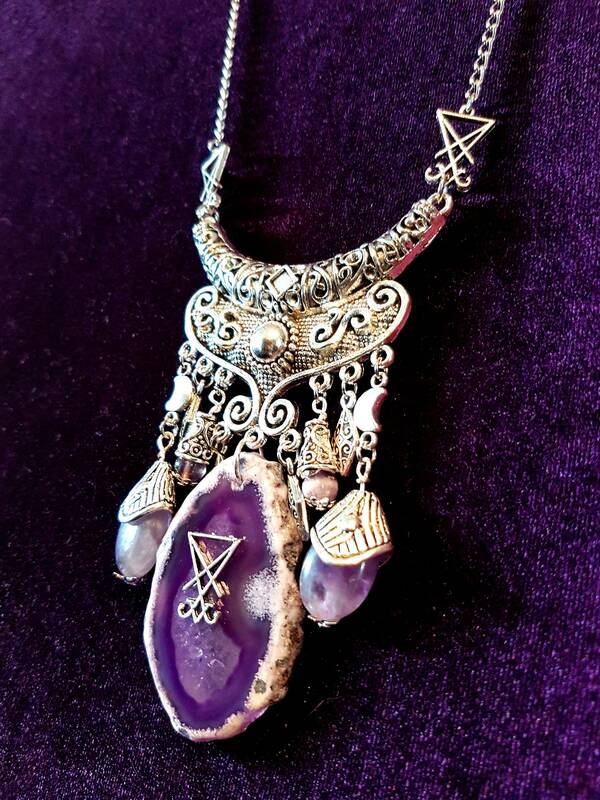 One of a kind luciferian necklace, handcrafted in sychronicity with left hand path energies. 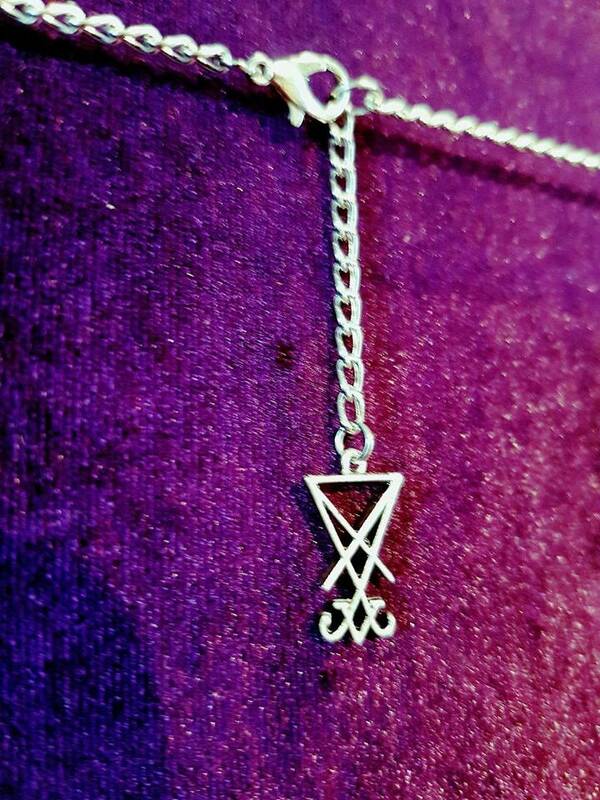 - 3 Mini Sigils of Lucifer. 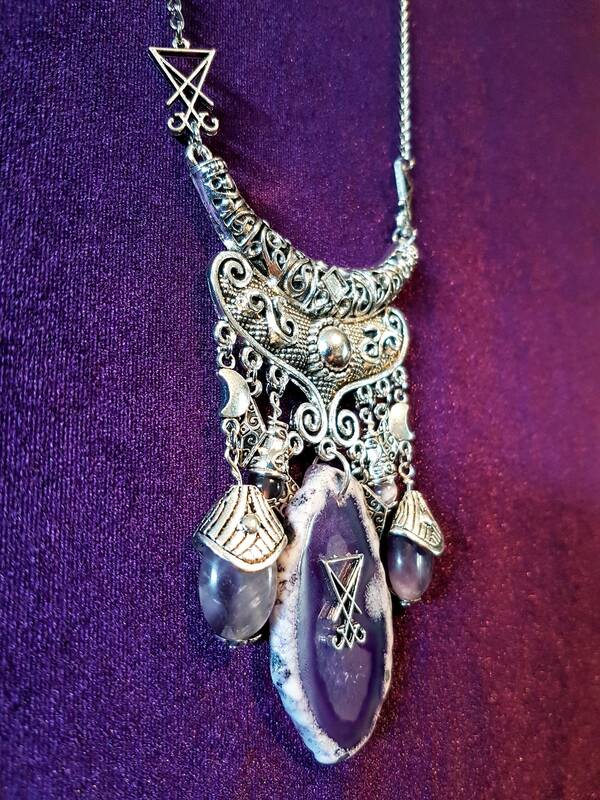 - 2 Hooded Amethyst Gemstones, with a small crescent moon on top. 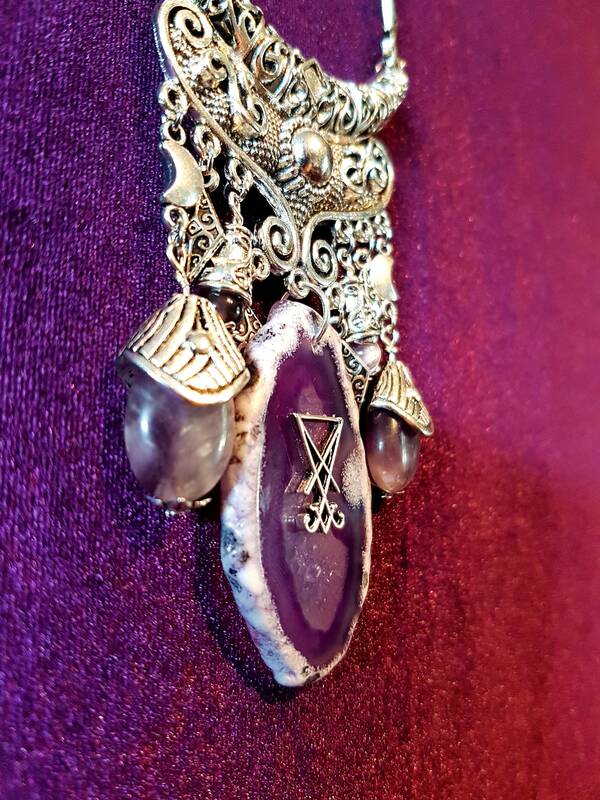 - 2 Agate gemstone beads.